New Balance India started their New Year with the launch of a brand new silhouette, the 247 ‘Luxe’ pack. The new 247 silhouette has been designed with modern, urban lifestyle in mind. The classic New Balance quality and craftsmanship has been fused with modern performance-inspired details resulting in a truly new, contemporary silhouette. The New Balance 247 ‘Luxe’ pack is available in three colour and is made of premium full-grain leather. The 247 ‘Luxe’ draws inspiration from the heritage models including the asymmetrical details on the toe vamp takes inspiration from the 1300; the collar strap design is taken from the 574 and 576 and the midsole is a refined, lightweight version of the 998 midsole. What impressed me the most about the New Balance 247 was the comfort. Whether I was running or just walking around the city, the REVlite sole was comfortable enough for me to not worry about any aches that might come with being on my feet all day. 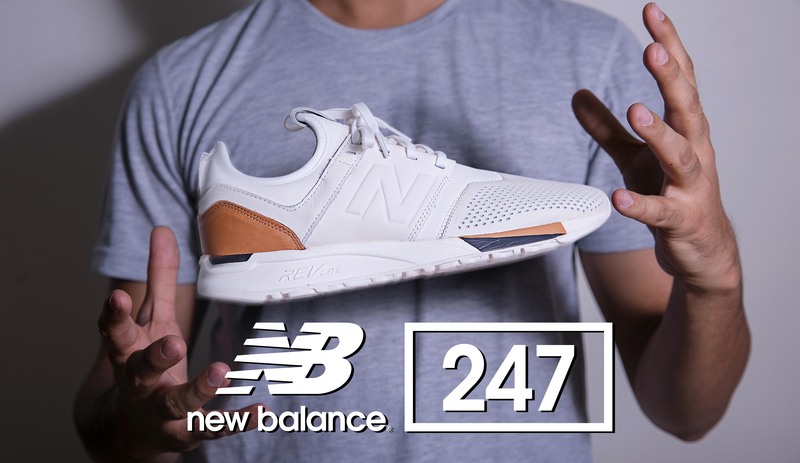 The New Balance 247 ‘Luxe’ features an innovative foam compound called REVlite, which is 30% lighter than traditional cushioning systems while retaining the same level of durability and comfort. The New Balance 247 ‘Luxe’ pack is in size range from US7 – US9. You can purchase your pair from their Indian website http://www.newbalance.co.in or their store in DLF Mall, Saket or DLF Mall of India, Noida. I can’t wait to wear these shoes while I explore the beautiful country of Turkey later next month!